Mr. Colby Sharp, Nerdy Book Club, and I are celebrating the book birthday of Joanne Levy's debut novel, Small Medium at Large. Cake, punch, and fireworks for everyone. Mr. Schu: What does it feel like to send your first book out into the world? Joanne Levy: I’m not sure I can quite describe the mixture of emotions, but I guess I’m a writer, so I’d better try. It has been a LONG and very bumpy road for me, with over a dozen books written before this one, several of which did get shopped before finally making a sale with SMALL MEDIUM AT LARGE. So it feels like a long time coming and that 9 years has made today, my official release day, that much sweeter. Not to say I would have minded a quick and early sale, but the pride I feel over sticking it out this long goes further than just feeling great about writing and selling a book. I’m not just a published author, I’m also a thick-skinned, persistent, determined, refuses-to-let-her-dreams-die gal who worked hard to make it happen. So yeah, between the pride over the book and the pride in myself, I feel pretty darn good. That said, it’s kind of terrifying at the same time, as I worry if the book will do well and will people, and especially kids, like it. And I feel like this whole experience has pulled me out of my comfort zone in so many (good) ways, but I feel so much better for it. I am so grateful for the wonderful people who have stood by me along the journey AND for all the new friends I’m making because of it—so many people have been so encouraging and gracious that I’m daily overwhelmed with gratitude. So to sum up: it feels pretty amazing. Mr. Schu: Scenario: A stranger spots you holding a copy of Small Medium at Large. She asks what the book is about. In fewer than thirty words, please provide a summary for this inquisitive person. Joanne Levy: Hi Stranger! It’s a funny book about a girl who gets hit by lightning and can then hear (often mischievous) ghosts. It’s perfect for 8-12 year olds and immature adults! Mr. Schu: You write hilarious characters with whom kids will identify. I am especially fond of Lilah Bloom's grandmother. Did you base her on someone in your life? Joanne Levy: Aw, thanks for saying my characters are hilarious! There is no greater compliment to me than hearing I make people laugh. Bubby Dora is a sort of character mashup of two women: my own great-grandmother Dora (see where that came from?) and her granddaughter, my mom. My great-grandmother was an amazing, tenacious woman who came to Canada from ‘the old country’ (Poland) to make a better life for herself. She never learned to read or write English, but she raised four kids on her wits, strong nature and a good dose of humor. My mom followed in her footsteps and is so funny and strong and VERY opinionated, so she managed to somehow get herself into my writing brain (something she would TOTALLY do on purpose, too). I didn’t really write Bubby Dora with them consciously in mind, but every time I read the book, I realize they’re very much in there and I kind of love that. Mr. Schu: If you were struck by lightning, what new talent would you want to develop? Joanne Levy: I feel like I should say mind-reading or flying or something truly remarkable, but for me, my biggest wish right now (especially as my book is releasing and I’m asked to talk about it and do public events) would be to have a more outgoing personality and feel more comfortable talking to people I don’t know. I know, surprise, right? But truthfully, despite my witty and breezy book talk above, I’m actually quite shy and am very easily over stimulated in groups—that which makes people suited to being writers, doesn’t necessarily make them suited to talking about their writing! Anyway, I’m really working on it and have already come a long way. I have found that forcing myself to do goofy things like making videos for guest blogs is both terrifying and liberating. And hopefully entertaining. Although, the jury’s still out on that one. Mr. Schu: I love asking authors to share some of their favorite books. For each category, please share some must-read titles. Joanne Levy: Yes – I love this! 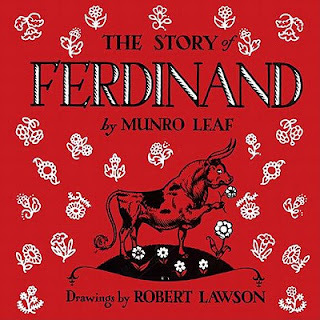 *Picture Books: My favorite picture book as a kid had to be FERDINAND. I opened up an online preview of it just now and I teared up as I looked at the pictures, because I remember them so vividly, telling me I must have read this A LOT. 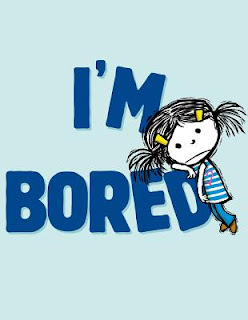 Another picture book I’m excited about is the September 2012 release: I’M BORED, by Michael Ian Black and illustrated by Debbie Ohi. Can I tell you how much I love this book? It is so funny and sweet and the illustrations are perfect! Every time I look at whole potatoes now, I crack up. I can’t wait for it to get out into the world. *Middle-grade Fiction: There is so much awesome out there that it’s hard to choose! 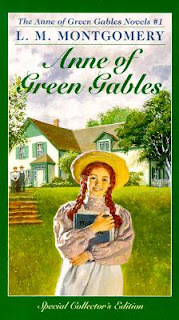 I will always have a place in my heart for ANNE OF GREEN GABLES and if you head over to the Nerdy Book Club, you’ll see why. But there are lots of more recent books that I’ve read and loved. Lynne Kelly’s debut CHAINED about a young elephant keeper and his charge is amazing and makes me think of one of your recent favorites (and now mine, as well), THE ONE AND ONLY IVAN and it kind of reads like WATER FOR ELEPHANTS for kids. 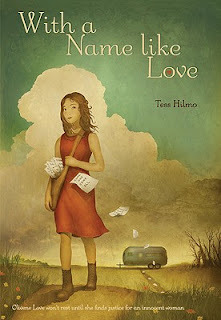 Also, a few months back I read IN THE NAME OF LOVE, another debut by Tess Hilmo. I felt like I’d had a soul cleansing after this book—that’s the only way I know how to describe how it affected me. And for great adventure, THE UNWANTEDS – called “Harry Potter meets the Hunger Games” this is a great book and I can’t wait for book two in the series this fall. 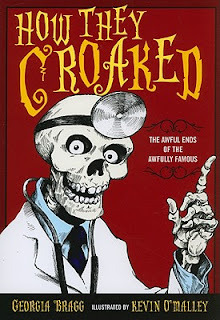 *Juvenile Nonfiction: I’m not a huge reader of non-fiction, but I really enjoyed HOW THEY CROAKED by Georgia Bragg, illustrated by Kevin O’Malley. This is a fun and really educational book about how famous people in history died and the facts surrounding their deaths. A bit morbid, yes, but really, really entertaining and interesting at the same time. 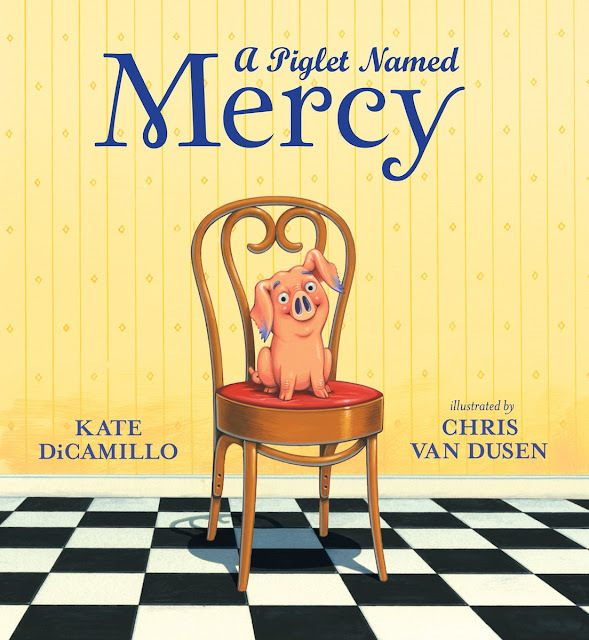 My niece really loved this book and devoured it in an afternoon. It made me think of Mary Roach’s STIFF, but for kids. *Young Adult: It’s tough to narrow down to just a few favorites, but let me try. For heart-pumping adventure, A.C. Gaughen’s SCARLET. Weird, but important and amazing: A.S. King’s PLEASE IGNORE VERA DIETZ. If you need a really good cry, BEFORE I DIE by Jenny Downham. And because I’m a romantic sap, I’ll leave you with the book I’m reading right now: THE STATISTICAL PROBABILITY OF LOVE AT FIRST SIGHT by Jennifer E. Smith—I’ve only just started it, but I already know I’m going to love it. I am giving away one copy of Small Medium at Large. 1. The giveaway will run from July 3 to 11:59 p.m. on July 6. Surf on over to Colby Sharp's blog to read his review of Small Medium at Large. Read Joanne Levy's "nerdy" essay. Thank you SO MUCH for this, Mr. Schu! I'd like to add that I have since finished Jennifer Smith's THE STATISTICAL PROBABILITY OF LOVE AT FIRST SIGHT and really did love it a lot. Also, after I wrote this, I went to my local indie (Bryan Prince Bookseller) and got myself a copy of FERDINAND. Small Medium at large sounds like a great book. I love the idea of a girl who talks to ghosts...but not THAT kind of ghosts--haha! Love, love, LOVE your video!!! And for another testimonial, Laynie (age 13) and Gina (who is not going to share her age with you) got to read the ARC of SMALL MEDIUM AT LARGE and absolutely love it!!!!! Joanne, you are such a great example of sticking it out. Cannot wait to meet Lilah in person. And I have to say I ADORED Ferdinand! My second-grade teacher read it to my class. My Spanish-teaching Mama had a version in Spanish. My now nine-year-old used to stop and pick flowers during soccer games in a way that would have done Ferdinand proud. So happy SMALL MEDIUM is now out in the world! Thank you, Caroline! Isn't FERDINAND a beautiful book? Everything about it makes me want to sleep with it under my pillow. Mr. Schu Reads Matthew Cordell's hello! hello! Happy Book Birthday to Babymouse for President! Please Join the WONDER Book Club!